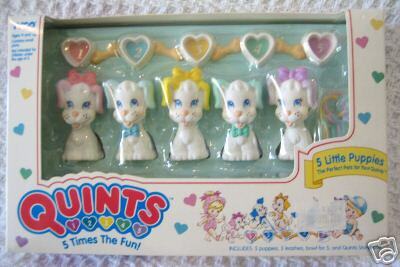 "The Perfect Pets Your Quints!" 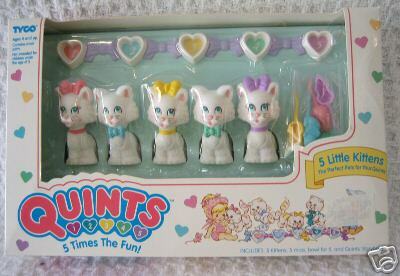 Includes: 5 kittens, 5 mice, bowl for 5 and Quints storybook. Includes: 5 puppies, 5 leashes, bowl for 5, and Quints storybook.